Healthy Frozen Dessert Maker - What's Goin' On In The Kitchen? This Healthy Frozen Dessert Maker is perfect for the ice cream lovers of this world. 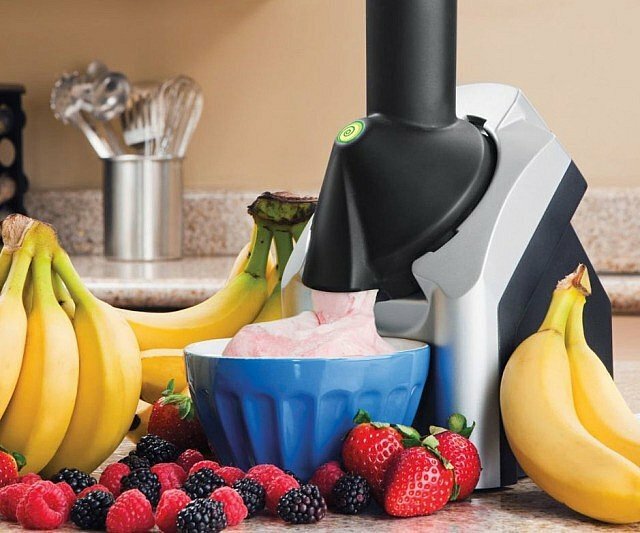 Using all of your favorite fresh fruits this machine quickly turns them into a healthy full-flavored frozen dessert meaning you get all the enjoyment without worrying about the extra calories. Perfect for entertaining guests, snacks for the kids, or a sneaky treat for yourself any time of the day. If you love this then check out some of the other cool kitchen appliances I found.